Alzheimer’s is a deadly disease. There is no treatment for it; however, there are ways people can get involved to make a treatment become real. 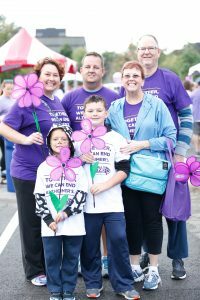 Walk to End Alzheimer’s is one of the best and easiest ways people can get involved. Join the Walk to End Alzheimer’s on Saturday, September 15 at the new Gorilla Village location at Pittsburg State University. Registration starts at 8 a.m. with the ceremony at 9 a.m., followed the walk at 9:15 a.m. Participants carry flowers representing their connection to Alzheimer’s — a disease that currently can’t be prevented, cured or even slowed. But what if one day there was a flower for Alzheimer’s first survivor? What if there were millions of them? By walking together, everyone can help make that beautiful day happen. 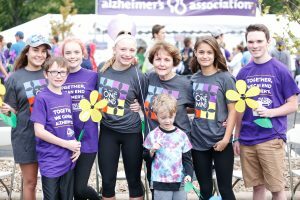 Join Walk to End Alzheimer’s, the world’s largest event, to raise awareness and funds for Alzheimer’s care, support, and research. Community members can sign up as an individual walker, Team Captain, or join a team. Recruit others to join your team or start your own team. The walk helps raise awareness and funds. All funds raised benefit the care, support, and research efforts of the Alzheimer’s Association. Register today at alzwalkseks.org. If you can’t make the event, you can donate to a walker or a team. Your fundraising efforts make a significant difference in the lives of those with Alzheimer’s. Visit www.alzwalkseks.org or call 800-272-3900.